I’m so excited for today’s post! 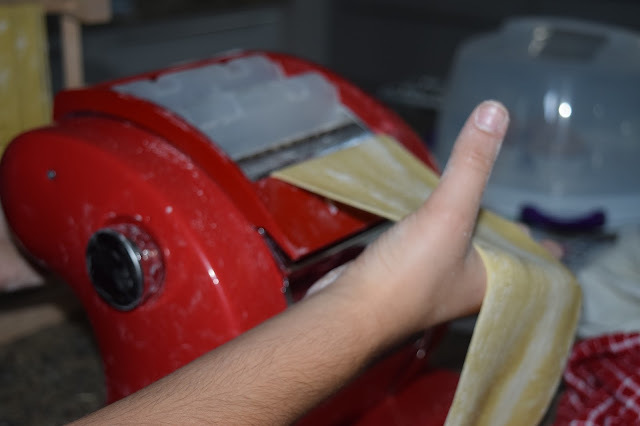 Today, I’m teaching you how to make homemade pasta! I don’t know if you guys already know, but cooking is my favorite thing to do! I love experimenting in the kitchen and making food for others! The other day I felt like making pasta, and I created this super easy recipe. Most pasta recipes call for semolina flour, which I don’t like using because it adds too much grit to the pasta. Anyways! Lets just get into the recipe! 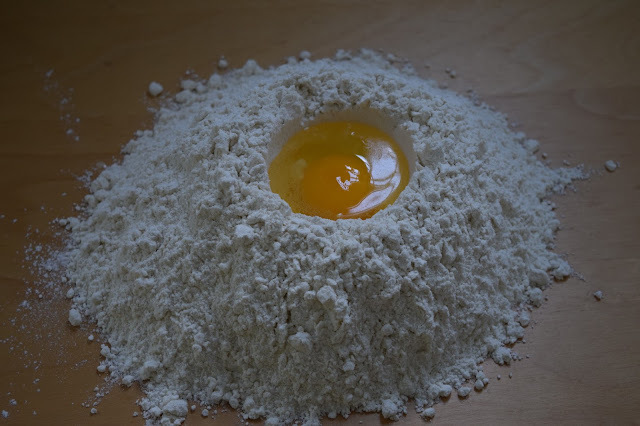 Pour the 4 cups of all purpose flour onto your smooth surface, and form it into a “Volcano” as shown in the picture below. Mix the salt into the flour to add some flavor. 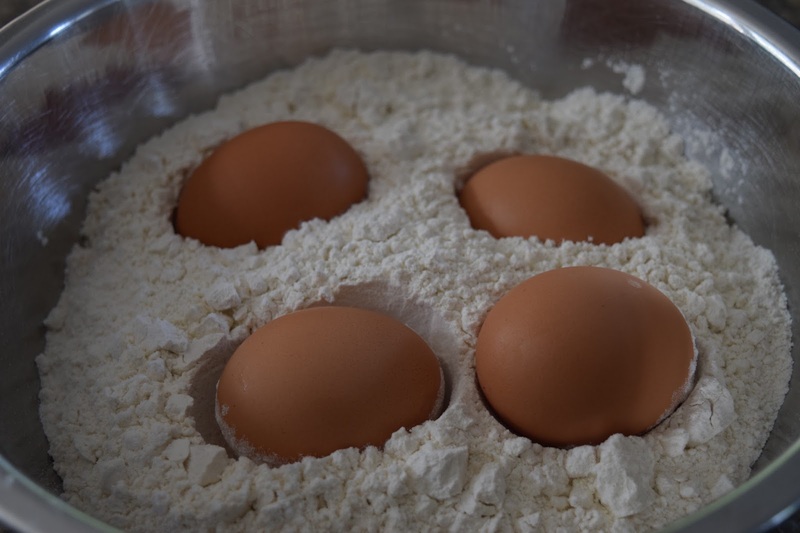 Add the eggs in one at a time while slowly incorporating the flour into the eggs with your finger. After the flour and eggs are mixed together, let the pasta dough sit for about 20 minutes. Afterwards, but the dough into pieces the size of a potato (sorry for that weird vision, I couldn’t think of anything else to compare it). Then begin the process of rolling out the dough. 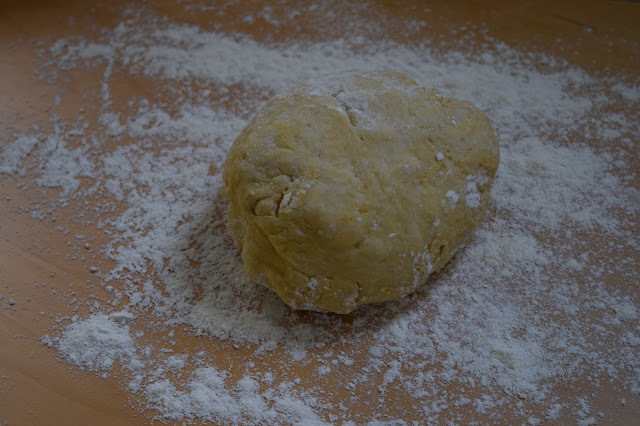 BEFORE DOING ANY ROLLING, MAKE SURE YOUR HANDS, TABLETOP, ROLLING PIN, AND ANYTHING ELSE YOU’RE USING IS COVERED IN FLOUR SO THE DOUGH DOESN’T STICK TO ANYTHING. To roll out the dough, you have 2 options, a rolling pin or a pasta maker. I prefer using an electric pasta maker, the one i have is from roma, but i have used a rolling pin and the pasta turned out great! So if you’re a beginner, I recommend trying out the rolling pin to see if investing in a good pasta maker would be worth your while. Anyways, I roll out my dough till it’s about 1cm thick (or setting 6 on the pasta maker). 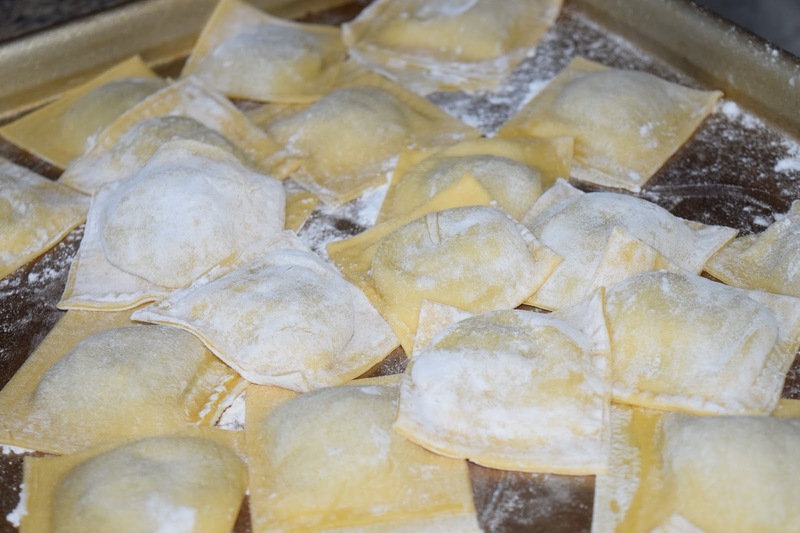 If you are making ravioli, I find it doesn’t make a big difference if the pasta’s a little thicker. 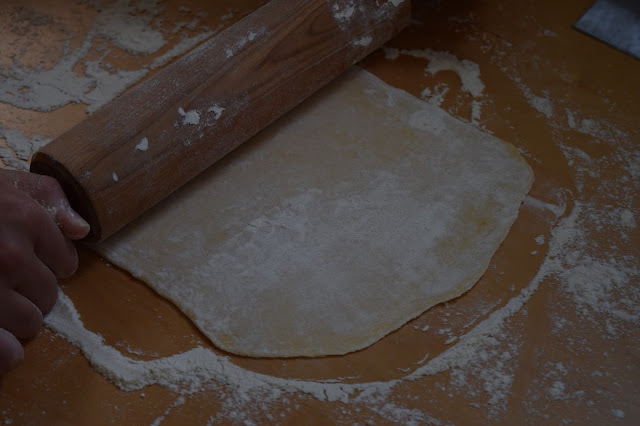 *If you are rolling out all your dough before forming it into the shapes, make sure to cover the dough with a damp paper towel to prevent it from drying out. With a pasta maker, you can make spaghetti, linguini, and many other pasta shapes. If you are using your hands, I recommend making ravaioli because I find that’s the easiest to make! All you do is lay one sheet of dough on the table, place a small ball of filling on the dough, brush some egg wash (just egg and water) around the filling, and top with another sheet of dough. I highly recomment this tool (Ravioli Stamp) I have absolutely no way of describing it, so you’re just going to have to look for yourself, but it basically just makes the ravioli in perfect ravioli shapes! and it’s really affordable and easy to use! Once all your pasta dough is rolled out and shaped, boil some water, add a little salt into the water, and cook the pasta for 2 minutes. Homemade pasta cooks WAYY faster than store bought pasta does so make sure you don’t over cook it! I know this was a long, probably overwhelming post, but I hope it helped you out! I love making pasta and once you get the hang of it, it’s really easy! 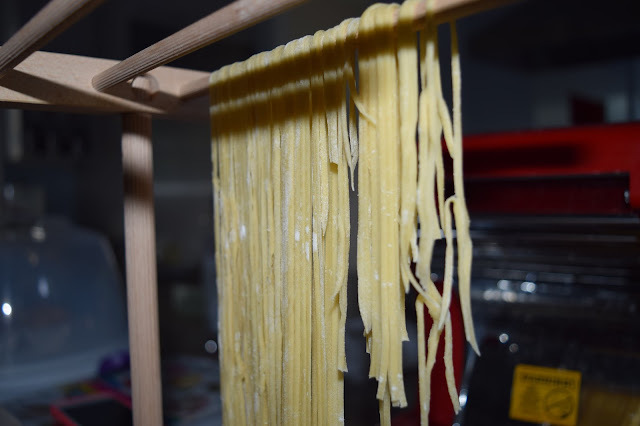 Please please please send me pictures of your homemade pasta, because I would LOVE to see what you guys create!